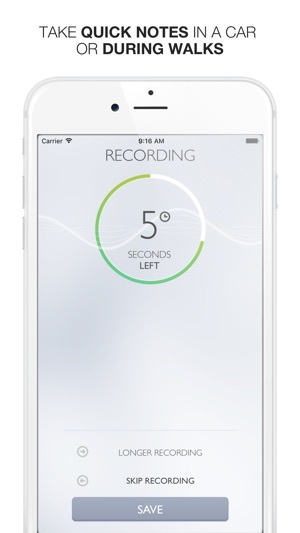 A powerful voice recorder for iPhone and Apple Watch. Just tap the icon, say a short note, and it becomes your reminder or you IMMEDIATELY find the note on Dropbox, Evernote or e-mail. All in just ONE TAP! Featured by Apple in Our Recommendations, Productivity and Business in Canada! 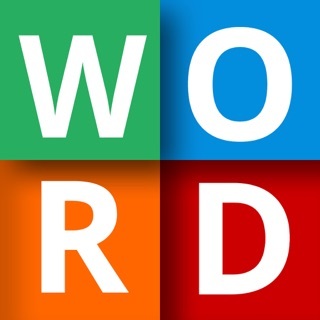 148apps: "Extremely convenient for those commuters who do serious planning and brainstorming on the road." 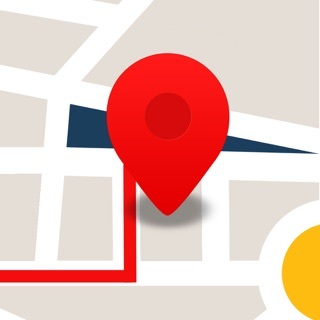 Apppicker: "With Say&Go you’ll never miss out on a great idea again!" Say&Go is not a yet another voice recorder - it is smart and efficient. To save a thought, all you have to do is just open the app and start speaking. Recording will start and stop automatically. Notes will be instantly transferred to your computer via Dropbox, Evernote or e-mail. 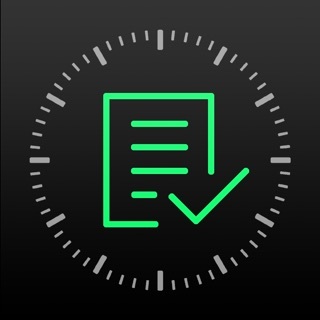 With Apple Watch, the app is taken to a brand new level - now you can immediately record your thoughts and to-do's by just raising your wrist. Perfect for multitaskers and GTD fans. Now you can do efficient brainstorming on the go without bothering with unnecessary taps to make and share notes. Lifehacker.com: "[...] This makes recording a short idea quickly surprisingly easy." 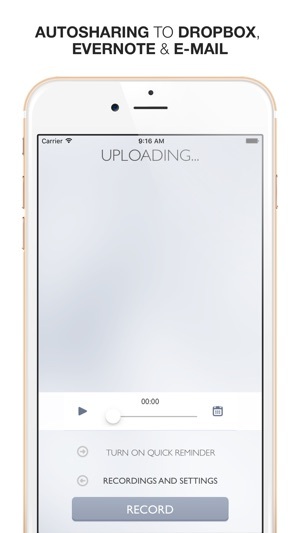 • INSTANT START - recording starts as soon as you run the app*. • AUTOMATIC STOP - recording stops automatically once recording's time limit (4-75 seconds - adjustable in Settings) has passed. • E-MAIL-TO-SELF functionality - record a note and automatically send it to your inbox. • EVERNOTE integration - use recordings to automatically create notes. 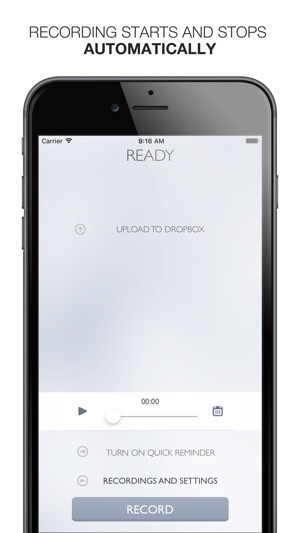 • DROPBOX upload - automatically upload recordings to Dropbox. Take voice notes on your way to work and then just see them later on your computer. • QUICK REMINDERS - set reminders to go off within the next 60 minutes with one swipe. 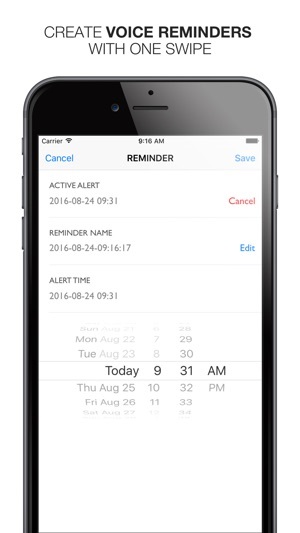 • REMINDERS - set specific reminders with date and time. 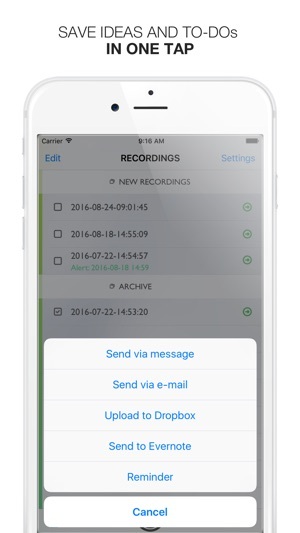 • VOICE MESSAGES - recordings can be easily sent via Messages and e-mails. 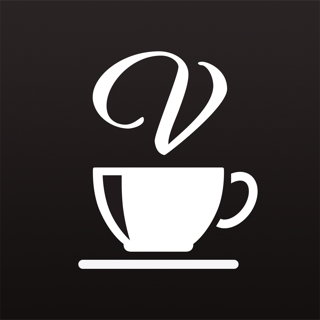 • LAUNCH CENTER PRO support - use shortcuts to make recording and sharing even faster. How much time do you need to capture an idea or to-do? That is why it is better to be QUICK and AUTOMATIC than endless and manual. 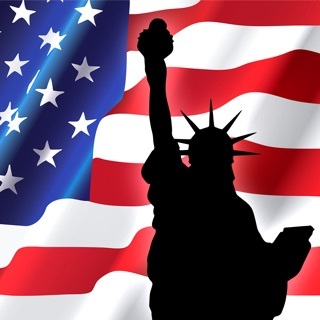 Moreover, notes in Say&Go are short so they are efficient, succinct and concise. *The autostart feature can be disabled in Settings. Apple Watch app is available on on watchOS 2.0. Please remember that using a mobile phone when driving may be dangerous and is strictly prohibited in many countries. Make sure you are using a Bluetooth headset as an input for recording and use the device's built-in voice assisstant to open the app. Lastest update great but recordings from watch need to automatically go to iPhone. Voice recorder pro does that but doesn't have an app bubble notification for new memos. I have tried many similar apps, but this one is the best, hands down, for recording a thought, insight or just something I need to remember. I like it even better than the Apple voice recorder that came with iOS12, because this app allows me to send the message to my mailbox.